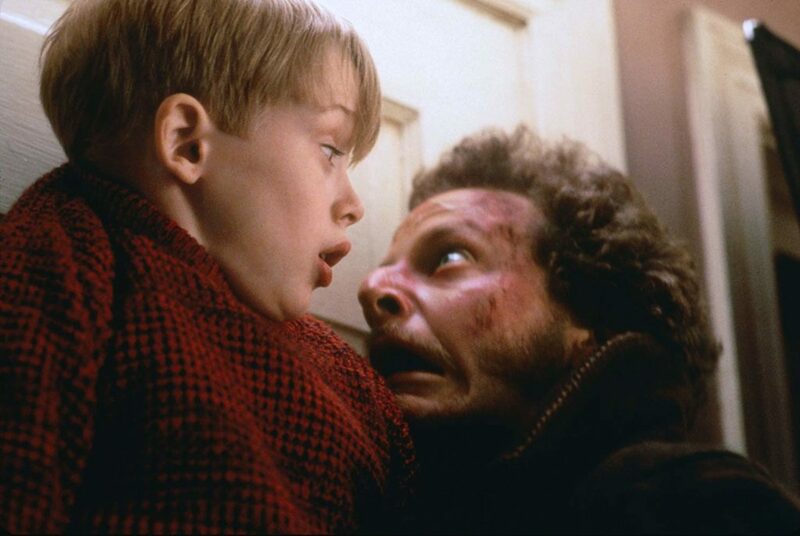 The first two Home Alone films are ones that I’ve watched every year since… forever. I’ve seen them TOO MANY times. Ya know what I haven’t seen very many times? Home Alone 3. I’ve actually never watched it all the way through. But I finally did see most of it the other night when my family was over for Christmas Eve. Did you know Scarlett Johansson plays a small role? She’s about fourteen. Interesting. I’ve always thought of Home Alone 3 as lesser, without really knowing why. We had it on in the background while playing Rook, and it caused me to ponder whether I might be unfairly biased against it. Maybe it’s an under-seen gem, I thought. Well it’s not, and now I have at least some idea why. 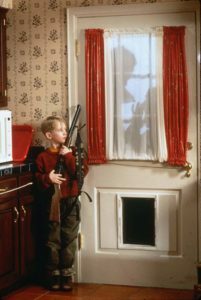 Very early on, it becomes clear that Home Alone 3 is basically a cash grab, and that the production team spent most of its time emulating Kevin McCallister’s booby-traps and not nearly enough time on things like character development or dialogue. I rewatched the first Home Alone today and the difference became much more apparent. The first one is patient, it takes time to set things up that pay off later, it explores the bond between mother and son, and it lets us get to know each of the lead characters well. Home Alone 3 does none of these things. Perhaps most importantly of all, the first Home Alone is full of fantastic performers that give fantastic performances. Macaulay Culkin in his prime. Joe Pesci gone family-friendly. Unforgettable. There’s even a small but memorable part played by John Candy. POLKA POLKA POLKA? The people are what make Home Alone great. One of the wonderful things about being married is that when your spouse learns something, you get to learn it too, or at least the distilled version. My wife Allison is currently studying for the GRE, so while she’s immersing herself in it, I’m getting a small taste of how to do algebra again, and learning what words like “truculence” mean. In college, Allison had a course on children’s spirituality. That’s a big and complex topic, but a few of the more intriguing concepts made their way into our conversations and so I got to learn a little bit too. One thing that stuck with me from her experience in that class is this: children are well aware of their own vulnerability. Kids know that they are small and need to be helped and protected. I was skeptical at first of this idea—little kids are always trying to be independent, right? But in the end they know they need grown ups watching out for them. They often wish they didn’t need adults, but they know they do. And so Kevin McCallister is like a god to them. One of the more memorable watchings of Home Alone for me was a few years ago with the son of my teammate in China. His name is Noah and at the time he was about 7 years old, which is apparently the perfect age to fully appreciate the film. He had never seen it before. He was asking tons of questions and he was bouncing up and down when Kevin accidentally shoplifts and he was freaking out during the final showdown sequence. Every time Kevin showed how clever he was at the robbers’ expense, he would exclaim, with almost no pauses between words, “Oh my gosh he’s so smart I love him!” That exact phrase, many times. I’ll never forget it. As excited as he was, he was also genuinely scared for Kevin’s safety. It seemed inconceivable to him that Kevin could win, or survive the night. And that’s when I realized: Home Alone is a horror film. 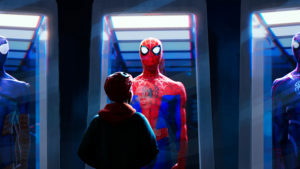 Think about it: it has clearly defined villains, it’s all about home invasion, and it puts its hero into dangerous situations which incur terror for the viewer. Especially when the viewer is a child, because kids know they are more vulnerable than other people. The best horror movies find our insecurities and exploit them and make us face them. When I, as a parent, watch the 2014 film The Babadook, it shows me the scary implications of some of my deep fears about parenting, it makes me face those, and ultimately, I am better for having gone through that experience (plus, the movie is thrilling and incredibly creative). The movie speaks to me a little differently because I have parenthood in common with the protagonist. Home Alone does that for kids. Adults watch Home Alone thinking, “What funny way is Kevin going to torture these dimwitted crooks?” whereas children think, “I hope this person who’s just like me doesn’t get murdered.” It’s a different perspective. And Chris Columbus clearly understands this. So, yes, I think Home Alone is a very strong film, probably Columbus’s best. And I say this as someone who has seen more than 2 but less than 5 other Chris Columbus movies. Home Alone is a horror movie. What should you do with this knowledge? Show it to your kids, and let it scare the daylights out of them. That’s what it’s for. Andrew is a writer, podcaster, and film lover who wants to help people think critically about movies. He lives in central Arkansas with his wife Allison and two children, Rosie & Beau. Find him on Twitter and Instagram: @ArthouseGarage. The Snob-Free Film Community. 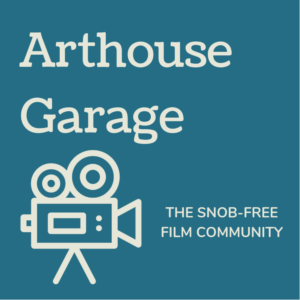 A podcast and blog that make arthouse, classic and indie cinema accessible to the masses.